ACC Air - JWay Group Inc. Communicate the quality products and services available from a highly regarded HVAC business with four decades of experience in the construction industry operating in the San Francisco Bay Area and Guam. Millennial caregivers influential in the decision-making process of parents looking to purchase HVAC products in Guam. 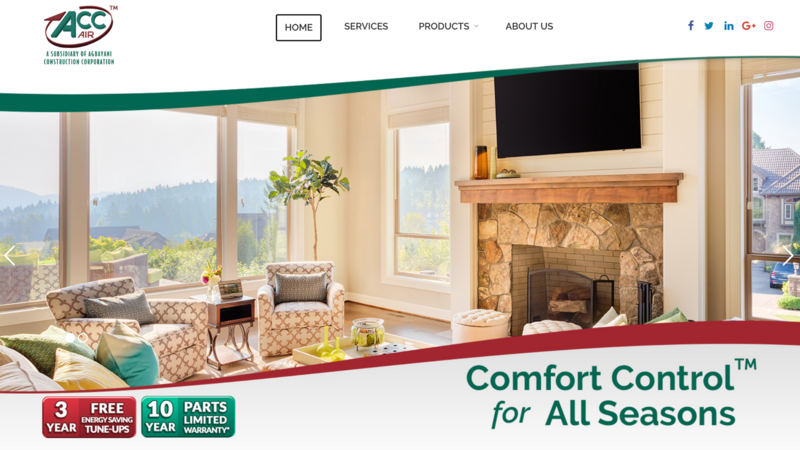 Redesigned website and brand elements including a logo to reflect an updated look that would appeal to the target market and provide easy to find information that accelerates the decision-making process and increases sales of ACC-Air products. Increased engagement within Guam that allowed conversion of its social media followers to actual buying customers. JWay support ACC Air’s social media marketing efforts by producing regular social media posts and advertisements, as well as providing consultation meeting and social media training for ACC Air team.